External fraud - theft, advancing funds on forged documents, cheque kiting, computer crime (including hacking), web page “defiance”. First, a bit of history. In 2004 the Basel Committee reported on the role insurance could play from a banking/risk management perspective4. The Basel Committee was a gathering of cautious banking individuals (and they were not insurers). Their main finding was that banks adopting the Advanced Measurement Approach (AMA5 could use their insurance policies (if the insurers or reinsurers were suitably credit rated) to replace part of their operational risk capital (i.e. part of the bank’s Tier One capital which it was required to retain on its balance sheet to cover operational risks). The findings of the Basel Committee were colloquially known as “Basel II” and had a global application. Loss control and risk management services can be provided by insurers and specialist brokers; after all, they are at the “front end” when it comes to claims and losses. The “experience accounts” which have built up over decades can now be put to use – after all, they have paid losses on Enron, Sumitomo, Barings, WorldCom, Madoff, Stanford, systemic asset stripping in Scandinavia and South Africa ... to name but a few. In this regard, let’s consider some simple examples of how insurers might impact and their experience which they can bring to bear. With insurers engaging with the banks they can provide products which are more reflective of the underlying risks. This also reduces the possibility of costly and lengthy underlying coverage disputes arising – these are not helpful from the perspective of reputation, regulation or plugging operational risk balance sheet “holes” in a timely fashion.9 Moreover, the alignment of the occurrence of events and the response of insurances needs to be rationalised i.e. a particular loss event may impact a number of policies – again, a recipe for uncertainty. Until recently, the failure of banks and insurers to “stress test” policies with scenarios resulted in considerable uncertainty. The asymmetry of information did not assist, although software is now available to analyse risks and place them in the appropriate operational risk “buckets” (see pages 1 and 2). And, there is already an established precedent for this form of underwriting where banks use insurance products for unfunded credit risk mitigation: its called trade finance/credit insurance. These risks are already being underwritten in the region and the expertise already exists. The reasons why banks purchase such products (or are co-insureds where customers obtain such products as part of their security package presented to the bank) is that banks can get capital relief. Banks “get it” and the reason they do is because it is the deal teams which assemble the deals, calculate the figures and can see whether it is more cost effective to transfer the risk (i.e. payment of the premium) rather than fund the cost of capital/cost of credit risk. For those teams its simple economics, it is not a procurement spend (which is the imperative for operational risk insurance buyers i.e. same products and limits purchased every year with perhaps an increase in the D&O limits). 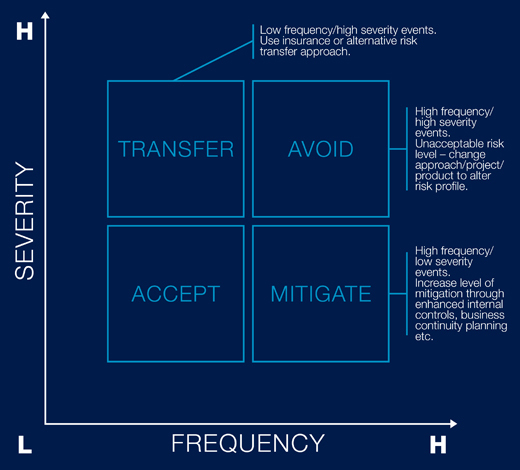 It is clear that there is a growing understanding of how these insurance products work and the dual uses they can be put – no longer is it a question of simple risk transfer (indeed, on some of these significant programs risk transfer is furthest from the CFO’s/risk manager’s mind – it is the costs arbitrage which is the primary objective). The products and the providers of these products have the ability also to change the system, regional business cultures and values. The alignment of insurers and banks can lead to considerable mutual benefits (and profits) for these entities and also release capital to stimulate the regional economy. Moreover, and just as importantly, the benefits to those banks which cannot achieve (selected) regulatory capital reductions are still tangible in promoting greater cooperation between insurers and banks and upping their game across the region. For more information, please contact John Barlow, Partner, Dubai, on +971 4 423 0547, or john.barlow@hfw.com, or your usual contact at HFW. “International Convergence of Capital Measurement and Capital Standards”. An updated version was issued in June 2006. There are sufficient resources to implement the system. They will generally contain a nuclear (if London market wording, although its presence is quite inexplicable) and fraud exclusions.